Every week, Food52's Senior Editor Kristen Miglore is unearthing recipes that are nothing short of genius. Today, Shirley Corriher, Harold McGee, and Rose Levy Beranbaum weigh in on the silkiest waffle around. I'm not the type of person who normally plans my breakfast the night before. This is probably something I should aspire to in life. 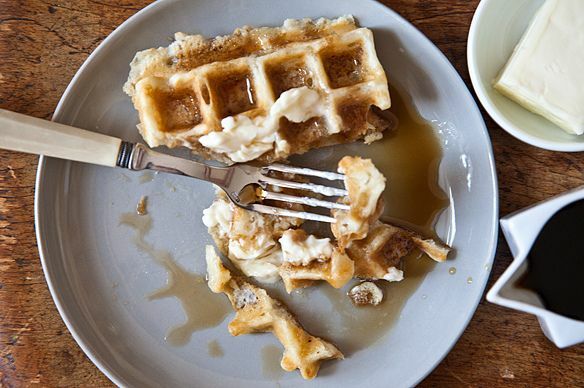 Lucky for me, this week's genius recipe is the ideal I-just-woke-up-from-a-waffle-dream waffle, a morning-of alternative to the overnight yeasted kind (which is, admittedly, a whole other kind of genius). Full disclosure: There is a 30-minute stretch of down time while the batter rests (we'll come back to that), but I reckon this is about how long it takes for your caffeine to seep in enough for you to safely operate sizzling machinery. Meanwhile, crisp up some bacon, set the table, and pull your butter out of the fridge to get spreadable. 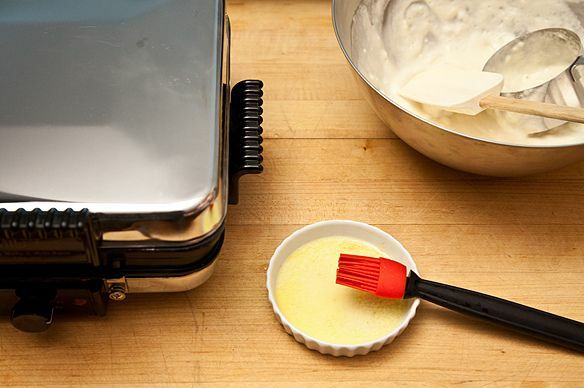 I discovered this recipe, which sports an intriguing addition of cornstarch to the batter, while reviewing waffle makers for the Wall Street Journal last winter. I needed a respectable array of batters to test my subjects, and was delighted to find that Molly Wizenberg of Orangette had already polled her audience, doing my homework for me. Mind you, I did try a number of batters, in the interest of thoroughness and journalistic ethics and all that. I kid you not: both crisper drawers of my fridge were filled with Ziplocs of waffles. It was one of the best months of my life. But this one is the batter that I come back to always. This waffle -- whose name abandons all notions of subtlety and restraint -- is perfectly, surprisingly delicate. The crust is thin and crisp as an eggshell, a dappled golden brown that gives way to a spongy, steaming crepe-like interior. Cookbook author Pam Anderson has developed a seemingly very similar, also wonderful recipe, which calls for the egg white to be whipped up with sugar to stabilize it (unlike the WIG, in which adding the wet ingredients is a total free-for-all). Anderson's waffle comes out more evenly poufed, with a well-distributed wingspan. It's the coifed up Chrissy to the WIG's clipped, shiny Janet bob. 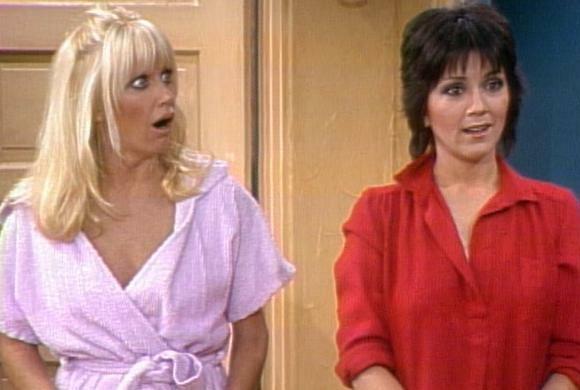 Take your pick, but I'm going with Janet. When I couldn't make sense of the Greatness -- what's going on with that cornstarch? why rest the batter? -- I turned to a few people who could: Rose Levy Beranbaum (of The Cake Bible), Harold McGee (of Keys to Good Cooking) and Shirley Corriher (of Bakewise). 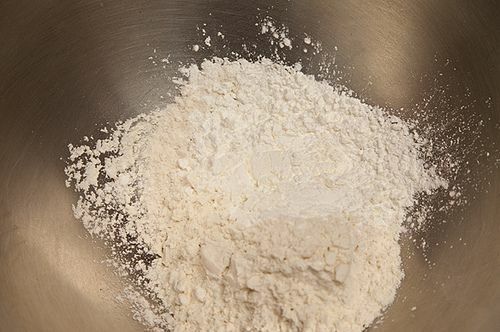 All three agreed that the heroic role of the cornstarch (which is inherently gluten-free) is in tamping down the gluten formation that goes on any time you make a batter with all-purpose wheat flour. Some gluten here is helpful. 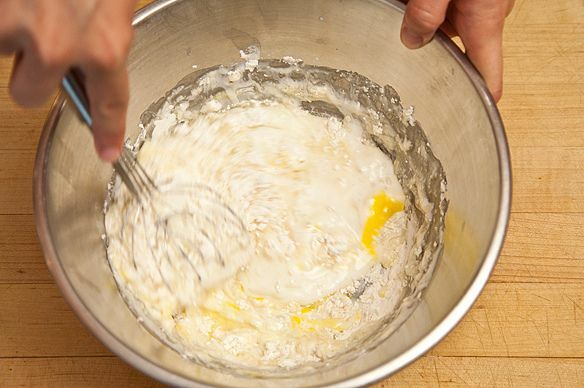 Gluten strands "help hold the batter together," explained McGee -- "but they can also toughen the cooked texture." 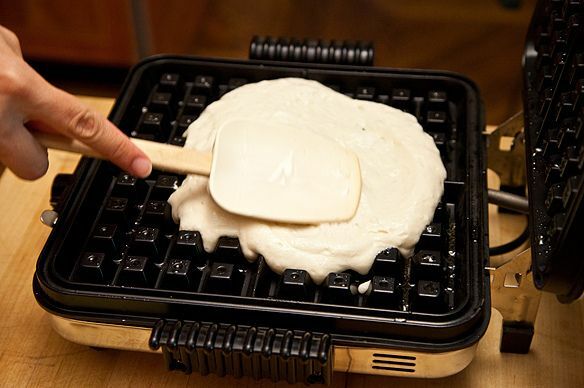 According to Corriher, this is partly because gluten molecules greedily tie up available water, which otherwise becomes steam "to make the waffles puff and to make them moist inside." Like in this recipe. Nice work, cornstarch! Beranbaum even makes her crepes using 100% cornstarch: "They are incredibly silky and delicate." And the rest period? Beranbaum explained this is because "flour takes longer to hydrate than cornstarch." This hydrated and swollen starch crystallizes as it dries, creating a crisp surface like a well-starched collared shirt, Corriher said, adding, "You may have felt a piece of rice on the outside of take-out Chinese that was hard as a rock. It is a rock -- crystallized starch." Crystallized starch that tastes reaaally good with syrup. 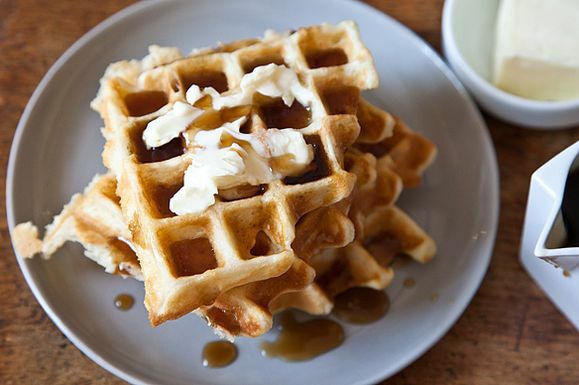 One last tip: I will add that these waffles make an excellent last-minute pantry dinner, for when you and your fridge are both running on empty. And breakfast for dinner is never, ever a bad idea. From Aretha Frankenstein's restaurant in Chattanooga, TN. Want more genius recipes? Try Eric Ripert's Crispy-Skinned Fish or Marcella Hazan's Tomato Sauce with Onion and Butter. We made these yesterday for an easy Sunday morning breakfast in bed. They were delicious! I drizzled them with our local maple syrup and was really, just so surprised by how much I liked them. I generally make waffles with our son in mind, but I couldn't help but eat an entire half a waffle (big waffle maker, so it's a lot!). I mixed up both the dry and wet the night before which had them come together very easily. I also loved that this recipe only makes three or four waffles (in our oversize Belgium maker). The leftovers are never as good, and we don't need more without company. Our new favorite recipe, and MUCH better than the KA gluten free mix that had become my crutch. Crispy and light. Very addictive! I should mention, I used half buttermilk and half whole milk. Rested the entire 30 minutes and resisted over mixing even though the batter was lumpy. Perfection. Made these several times and they are absolutely FABULOUS! I make them with KAF's white whole wheat and low fat buttermilk, plus 1/8 tsp of KAF's Fiori di Sicilia. 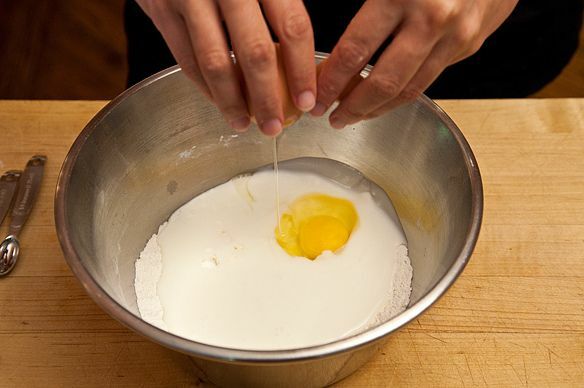 I do whip my egg whites separately (at the end of the 30 minute hold time) and fold them in. I get 3 Belgian waffles from this recipe (and they are light enough I could easily eat the whole batch myself). Unfortunately, my recipe calculator indicates they are approx 400 calories per waffle. Will try subbing apple sauce for the oil next time (which would cut the calories in half!!). Have never done an AS/oil substitution before, so have no idea how it will affect the texture. I also found this through the Food Network site a year or so back. It has been my go to waffle recipe ever since. It is foolproof and killer good. I found this recipe on the internet a few years back due to my great love of waffles. Guess what? I have made them pretty much every Sunday morning for the past few years for my family and we all love them! I double the recipe that way we can eat lots and still have some leftover for weekday mornings. 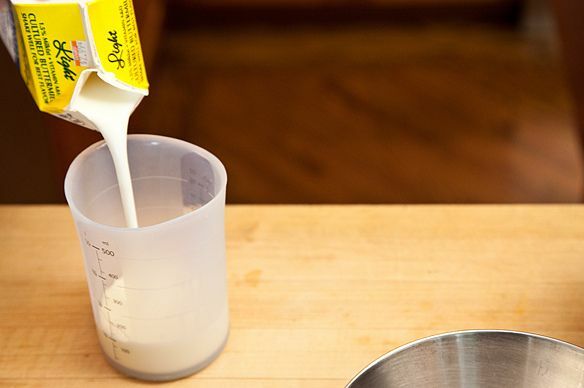 The cornstarch and the waiting is essential and I tend to use half milk half buttermilk but sometimes a bit more buttermilk than half. Love these and will never stop making them! Oh, and I also use some whole wheat pastry flour instead of all a.p. flour and they are just great! 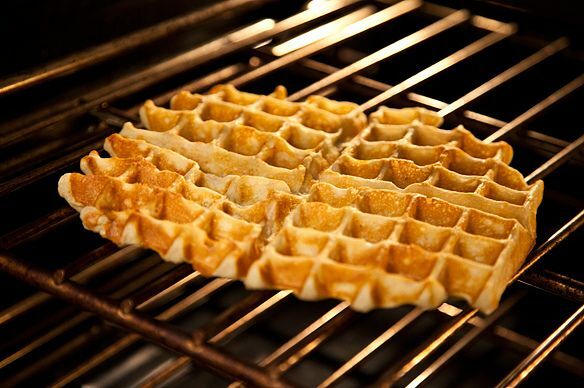 i only have a belgian wafflemaker.has anyone used the recipe for belgian waffles? I just made Raised Waffles, from Marion Cunningham's Lost Recipes. There were pretty amazing...but now this. Gee, I guess I'll have to have a Waffle Bake-Off. I don't have a waffle maker. Would these work as pancakes? I made these for breakfast today. I didn't have corn starch so used potato starch instead. They still came out wonderfully! I'm tempted to make some tonight so I just have to reheat them tomorrow for breakfast. Thank you tp Food52 and Kristen Miglore for sharing this genius recipe!! I made theses the other night and at my husband's suggestion added about 1 cup shredded aged cheddar and omitted the vanilla. Well actually when discussing breakfast for dinner he asked "What about cheese waffles?" Served with more cheese and poached eggs these were super tasty and easy! One leftover waffle was also great topped with taco fillings last night. Yummm! I made these this weekend using butter and adding orange zest and a little honey in place of the sugar. The results: Precisely as described: A moist and fluffy centre and the most delicate crisp shell. As my breakfast date was a little late, i was forced to use oven to keep them warm. This only aided them to crispen further. Thanks. I made these this morning (with a few minor changes, as I'm incapable of following a recipe exactly), served with a homemade blueberry sauce. They were indeed insanely great. My new go-to waffle recipe, thanks for posting! I love that I don't need to separate the egg to whip the white, fold in gently, etc. Thank you a million times! This made for a tasty dinner tonight! Sconeboy said "Whoa...these are amazing." Sconegirl said "I don't taste any difference." Sconeman liked them just fine. I thought they were pretty good. They were definitely less doughy than regular waffles. They were floppy when done, but crisped up after sitting for a few minutes, sort of like when you make chocolate waffles. (Maybe cocoa has the same gluten-lowering effect as cornstarch? Might have to try a choco version, hehe.) They were also paler than traditional waffles. So the verdict's still out! I will try them again with butter. I doubled the recipe and got eight 7" round waffles. Definitely a keeper, this one. Cocoa absolutely weakens gluten, because a) it has no gluten of its own and b) it's slightly acidic. 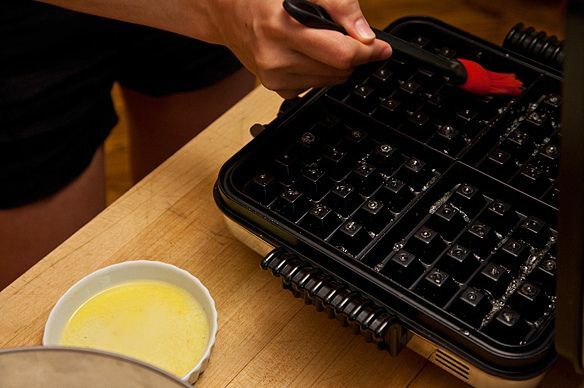 Can anyone tell me approximately how many waffles this recipe made, especially if you used a regular waffle maker (not Belgian)? They look wonderful, and I loved how you explained the science. Also, I'm assuming butter is the way to go for flavor, but I'm wondering if there are any supporters of oil? I don't have a waffle count for you but it does serves 4, just barely. No harm in doubling it to be safe (they reheat amazingly in the toaster). And Pam Anderson says oil is better for crisping, but I've used melted butter too with great success. I used a regular round 20+ year old waffle maker and got 5 full sized waffles from it. I used canola oil and I thought they were delicious! Good luck with yours. And, even though the batter was somewhat thin when I first mixed it up, by the time the 30 minutes had passed, it was just the right thickness. It probably helped that I used an almost brand new container of baking powder and had to open a new container of cornstarch to make the recipe. Here is a link to photographs I took when my son and I ate at Aretha Frankenstein's on a visit to Chattanooga in 2009 (I'm from there originally, and most of my family is still there.) It is a super cool little place to go eat - makes you feel like you're on the banks of a white water river camp somewhere. Very groovy spot! We opted for the GIGANTIC pancakes, but have bought and used the mix plenty, too! PS - you MUST use the buttermilk as directed on the box or the results will make you sad. Another great column and recipe! 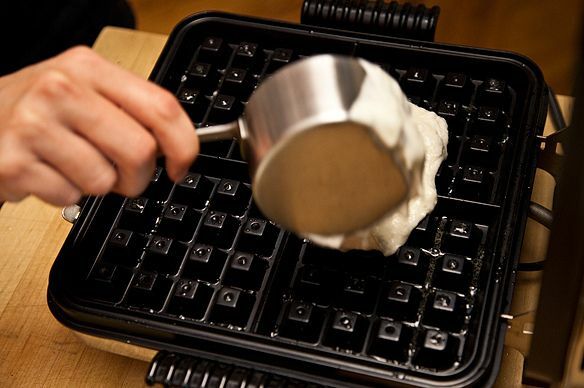 I can't wait to try these waffles -- and I agree, breakfast for dinner is never a bad idea! Being from Chattanooga, Aretha's has been a favorite of mine since they opened. I'll be putting this recipe to use very soon to satisfy my craving here in NYC, especially now that I understand the magic behind the insane greatness!